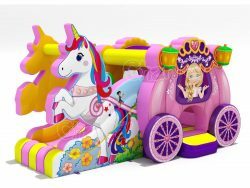 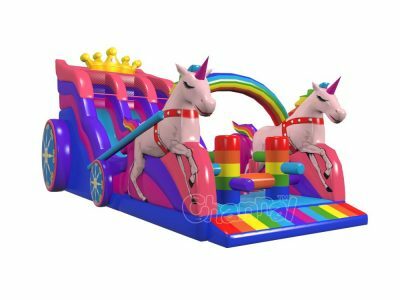 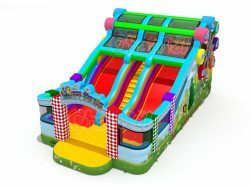 Amusement park inflatable slide will stand out in any outdoor events, because how it sells itself. 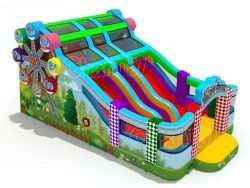 Look at the paintings on this slide, Ferris wheels and roller coaster, classic amusement rides, and not to mention all that cute animals. 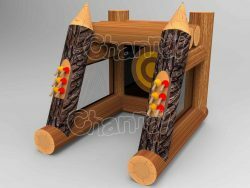 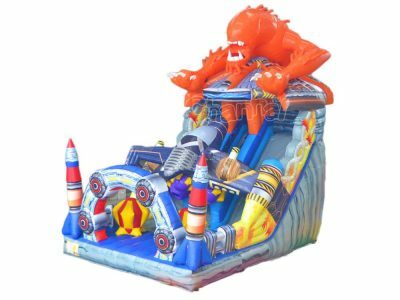 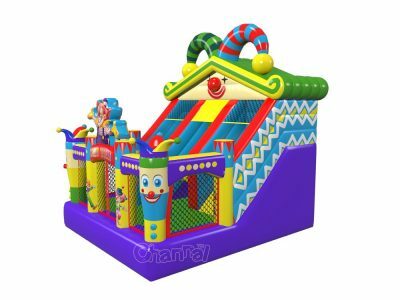 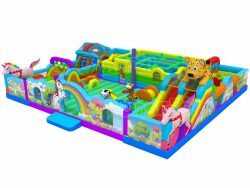 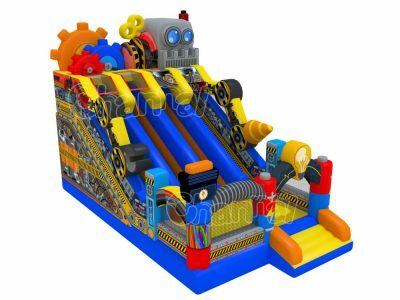 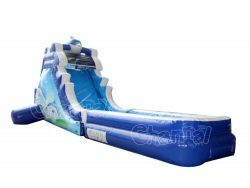 And this amusement park themed inflatable slide comes with 2 dry slides, what’s more, you can let us make it into a water slide.